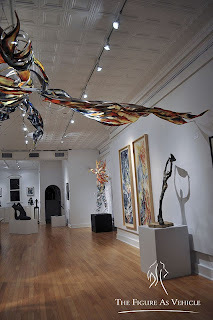 The Figure As Vehicle is an imaginative, traveling art event created by abstract watercolor artist John Carollo and dynamic sculptor Marsha De Broske. With four extended exhibitions since 2010, the show has been enjoyed by thousands of people in multiple areas. 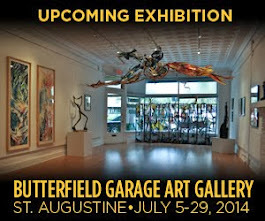 The show will next appear at the Butterfield Garage Art Gallery in Saint Augustine, Florida, from July 5 - 29, 2014, with an opening reception on July 5. We invite you to browse our website to learn more about the show concept, to see images of the event and press response, or contact us to inquire about bringing the Figure As Vehicle to your gallery or art center.